We have been very busy this summer, so it’s been a while since we posted a blog reviewing the hottest mixtapes out. It’s also the month of August, so that means “back to school” time. These releases full of new music will hopefully relax you during your down-time of school shopping and moving onto campus rush. Recently in the hip hop world, Meek Mill sparked a beef with Drake over twitter claiming that he has a ghost writer. He also stated on twitter that he was disappointed that Drake had a ghost writer for the track “R.I.C.O.” on his latest album “Dreams Worth More Than Money“. Meek Mill went a rant because Drake didn’t tweet his album to his followers. The two went at it by releasing freestyles dissing each other, but in the end, it seems that listeners choose Drake as the winner. Semaj Da DJ drops a release titled “T.K.O. 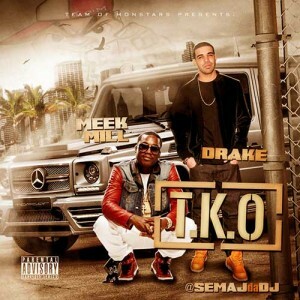 Meek Mill VS Drake” which puts the two emcees up against each other. This product contains the recent diss freestyles, as well as some tracks by each of them, so that you can decide who is the better music artist. Next, is a mixtape by DJ Jerzeyboy featuring some of the best hits by well-known Detroit rapper, Eminem. This release is titled “Jerzeyboy Radio: Slim Shady Edition” and contains, freestyles, remixes, and blends by the DJ. 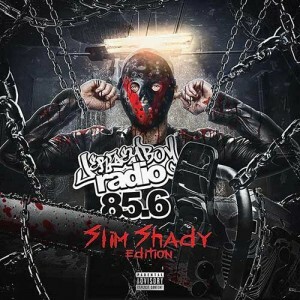 Other appearances on this 23-track product include Nicki Minaj, Yelawolf, Jazmine Sullivan, Trick Trick, Dej Loaf, Royce Da 5’9″, Big $ean, and more. Be sure to check out the original demo version of one of his most popular tracks “Lose Yourself, as well as the freestyles with Tony Touch and Sway in the Morning. Finally, one of the hottest and newest artists to come out of the south is a man known by the name Fetty Wap. 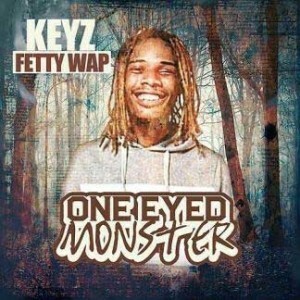 DJ Keyz releases some of the best mixtapes and the drop titled “One Eyed Monster” is right up there with them. This product is appropriately titled, as Fetty Wap only has one eye. He lost sight in the other as a child due to a disease. The DJ does a great job in the transitions on this 22-track release. Guest features include Remy Boyz, Jadakiss, Gucci Mane, Rich Homie Quan, Lil Dicky, Lil Reese, Yo Gotti, Ca$h Out, K. Camp, Natalie La Rose, Troy Ave, and many more popular performers. We’re hoping this blog post will help you choose some of the hottest mixtapes from our site, as we have a very large selection to browse for your listening enjoyment. Always remember that we are mobile compatible, so if you are on the go, just load our site on your mobile device’s browser. Be sure to check Buymixtapes.com everyday because new free music is constantly being added!